We offer countless solutions for your meetings, trade shows, and events. 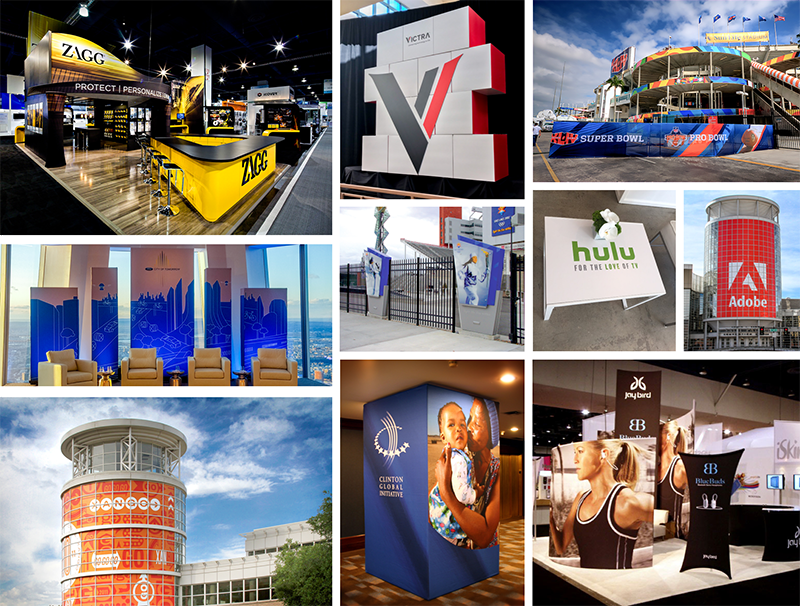 From small format informational items to custom booth configurations to complete venue transformations—we have all you need. We’ll partner with you on conceptualization to create the unimaginable. Which we have done for some of the biggest events and clients around, including the New York City Marathon! Our network of installation professionals reaches throughout the globe and our longstanding experience means we are equipped and ready to handle any challenge that may arise. We conduct site surveys within existing landscapes to make any size space your own. 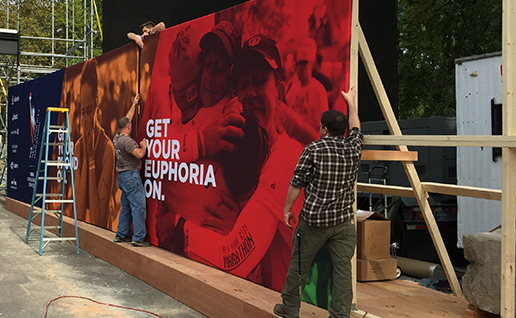 Working off of our site survey blueprint you can trust our team to complete full setups and takedowns of a variety of exhibit elements, hanging banners, structures, and non-invasive printed materials for flawless time sensitive installations.